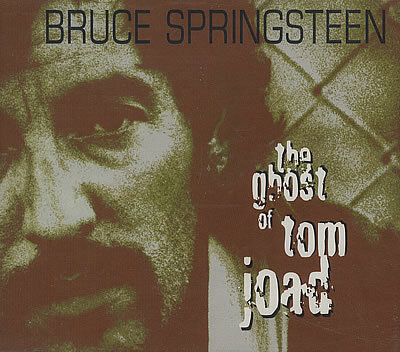 The Ghost of Tom Joad is a fantastic and often overlooked song by Bruce Springsteen. It is the title track on his album from 1995. The album, The Ghost of Tom Joad, has a focus on storytelling. It is largely accoustic and the songs are stories of people in difficulties and struggles. The influence of Guthrie and Dylan is clear. 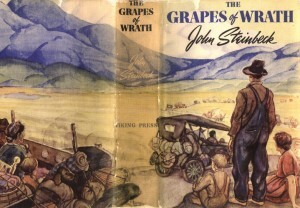 The character Tom Joad is the lead character in John Steinbeck’s classic 1939 novel The Grapes of Wrath, is mentioned in the title and narrative. Near the end of the story, Tom makes his famous “I’ll be there” speech, which is also noted in the lyrics. The idea is that the ghost of Tom Joad, the spirit of working together as a community, will prevail in times of great injustice and depression. I think it means that our times are mirror images of past times, the ghost of the depression in the late twenties to the early forties. The song also takes inspiration from The Ballad of Tom Joad by Woody Guthrie and by the John Ford film The Grapes of Wrath. Springsteen was clearly ironically quoting Bush’s speech when he wrote the line, “Welcome to the new world order” in the first verse. So it’s a song with several origins and a very political song. It was originally done as a sombre protest/folk song by Springsteen but has later been done in a radically louder arrangement by Rage Against the Machine. Bruce Springsteen has also performed the song in various arrangements, solo in very quiet shows and as a more hard and up-tempo rock song.